Eau-de-vie Moscato and Chardonnay marks. The distillation master himself carefully selects absolutely fresh Moscato and Chardonnay grape marks. These grape marks are separately stored in stainless steel tanks. The distillation in copper bain-marie stills is slow and thorough and carried out in a strictly discontinuous cycle. The heart of this special eau-de-vie is high-alcohol, that is patiently refined for at least ten months. After a careful examination of its taste, the two eau-de-vies are mixed together in the right proportion and thus resluting in a fne cuvée, with a unique elegance and softness. 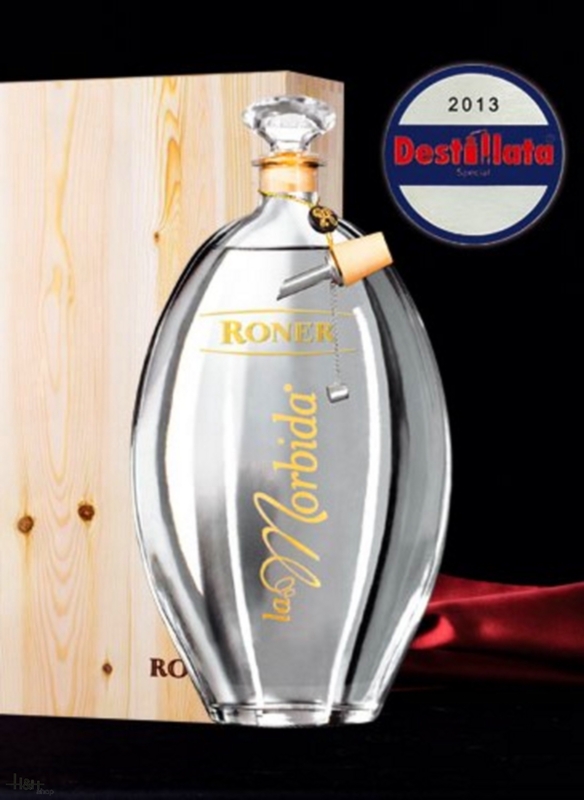 Roner's "La Morbida" is a new eau-de-vie meant to satisfy the most demanding palates through its ability to convince with its softness and fragrance.